At last, controversial hiplife musician, Kwaw Kese, has regained his freedom albeit temporarily. The Kumasi Circuit Court which had denied him bail on previous occasions, eventually granted a fourth bail application Tuesday, filed by his lawyer. Luv FM’s Erastus Asare Donkor, who was in court. 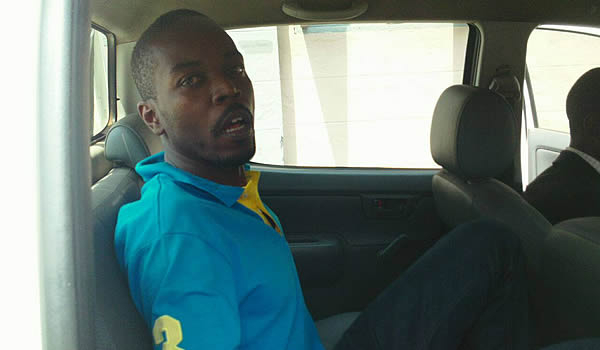 reported a visibly relieved Kwaw Kese managed a wry smile when the court announced its decision to grant him bail. The controversial rapper was arrested by the police in Kumasi on November 22, 2014, for allegedly smoking cannabis in public and was remanded into prison after making an appearance in court Monday. He was whisked away into a police van and sent to the Kumasi Central Prison which served as his new home until he today, December 30, when the court granted him bail on health grounds. The court, presided over by Judge William Boampong granted him 80,000 Ghana cedis bail with one surety to be justified. Erastus says the lawyers are scrambling to meet the bail conditions so Kwaw Kese can go home today.